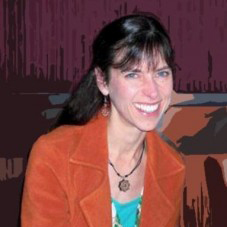 Alicia Head has been teaching Ballet, Pilates and GYROTONIC® for 20 years. Location – Long Beach, California, USA. Alicia Head has been teaching Ballet, Pilates and GYROTONIC® for 20 years. Currently the owner of UP Studio in Long Beach, CA, Alicia specializes in applying the principles of mind-body exercise to classical ballet technique. Her approach allows dancers to learn more about themselves and use that knowledge to prevent injuries, improve technique and enhance artistry. Alicia received her early dance training at the American School of Dance in Hollywood, CA with Sallie Whalen and went on to train at the Stanley Holden Dance Center, where her teachers included Mr. Holden and Margaret Hills as well as the Academy of Ballet in San Francisco, CA under the direction of Richard Gibson and Zory Karah. Other influential teachers include Colleen O’Callaghan, Lorin Johnson, Diane Lauridsen and Mario Nugara. Alicia was a member of the senior faculty at Lauridsen Ballet Centre for 17 years, where she taught Pilates, GYROKINESIS®, Advanced Ballet Technique and Variations. Guest teaching engagements have included the LINES summer ballet program and American Ballet Theatre, Orange County. Her former students include members of American Ballet Theatre, Louisville Ballet, San Francisco Ballet, Boston Ballet, Oklahoma City Ballet, Los Angeles Ballet, and Ballet Austin. She is a teacher trainer for the Long Beach Dance Conditioning/Studio 3 Pilates course as well as a GYROKINESIS® master trainer and GYROTONIC® pre-trainer.